Direct Steam Injection Heaters can be used wherever medium to high-pressure steam is available and an unlimited supply of industrial hot water is needed, or to heat liquids or slurries in-line. 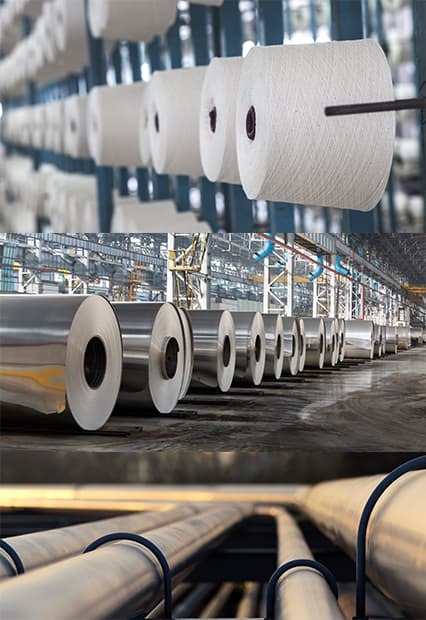 Worldwide industries served include food, chemical, pharmaceutical, pulp and paper, and general industrial applications that benefit from efficiently produced unlimited hot water supply. The heating chamber and internal injection tube of the Pick System is the performance difference between Pick and any other system. Pick’s design prevents pressure equilibrium and automatically stabilizes steam injection pressure. It eliminates shock, hammer, noise, vibration, with very minimal pressure drop and low sound level. When you install a Pick DSI Heating System you’ll consistently have the liquid capacity and temperature you need. You’re always assured of a dependable heating system under a variety of operation conditions with a Pick Heater. Pick Direct Steam Injection Liquid Heaters provide solutions to an array of special applications. Pick Heaters are used in a wide variety of industries. Wherever there is a need to heat water or any type of water miscible liquid or slurry, you are likely to find a Pick Heater. Whatever your liquid heating need, Pick is sure to have the answer. The Food Industry's special challenges are perfect for Pick Direct Steam Injection. Throughout the food plant, from process heating to plant sanitation, CIP and hot water sets, Pick provides instant, unlimited hot water at a precise temperature. Pick's precise and accurate temperature control is the ideal solution for demanding process heating requirements across the Chemical Industry like jacketed vessel heating and hot batch filling. Pick's precise and accurate temperature control is the ideal solution for demanding process heating requirements across the Pharmaceutical Industry. The Paper Industry finds that Pick Direct Steam Injection Heating Systems consistently provide creative solutions to process heating requirements. The Pick Heater provides low velocity, low noise level and low maintenance design for various machine showers, green liquor heating and starch slurry cooking. Pick Direct Steam Injection Heaters are a proven solution for many water heating applications in the Power Industry. Pick Heaters exceptional temperature control (within 1°C) as compared to other direct or indirect heating methods can play a critical role in improving plant performance for boiler feed water, reverse osmosis water and similar applications. Pick Direct Steam Injection Systems are ideally suited for instantly heating water or water miscible liquids wherever precise temperature control, energy savings and ease of installation and operation is desired. Stay up to date with the latest information from Pick Heaters. Most brown grease from waste traps has historically ended up as landfill, but recognition of its value for production of fertilizer, biodiesel and other products, as well as more stringent EPA regulations, are driving a trend of brown grease recycling. Steam is capable of transferring a large amount of heat to materials used in food and beverage processing, and it can be precisely controlled to within narrow temperature ranges. It can be applied directly to the materials being heated (through direct steam injection or DSI), or it can be applied indirectly through the use of heat exchangers that incorporate plates or tubes to segregate steam and process fluid. A Direct Steam Injection System can rapidly and accurately maintain temperatures for processing difficult materials, such as wastewater, and thereby increase the efficiency and reliability of the anaerobic digestion system.